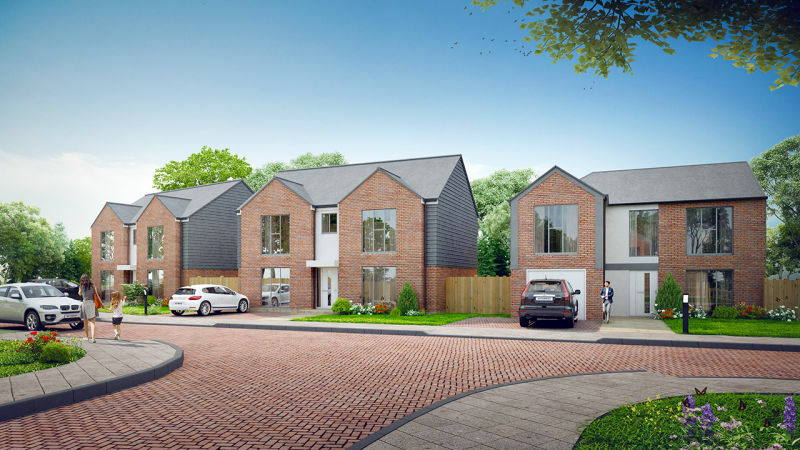 Oakley Property are thrilled to be opening the doors on an amazing new show home from Gold Property Developments at Pepper Close, Wivelsfield. David Beaken, a Director at Oakley New Homes, commented “Wivelsfield is a great spot and offers the best of both worlds. Pepper Close is positioned within a traditional village setting while the ever popular Haywards Heath is just 2 miles away. It makes for a great location for families seeking a semi-rural lifestyle. Equally, commuting is accessible with trains going from Haywards Heath station in to Victoria in around 45 minutes and less than 15 minutes in to Brighton". Wivelsfield and the adjacent village of Wivelsfield Green are the core of the Civil Parish of Wivelsfield in the Lewes District of East Sussex. They lie in the low Weald and to the north of the South downs national Park. Pepper Close is a collection of beautifully appointed family homes created by Gold Property Developments to compliment the local surroundings. The style and appearance of the houses is striking with contemporary design and floor to ceiling windows. There are just 7 houses in this boutique development with a selection of 3 & 4 bedroom detached and semi-detached properties available. Each house offers something different and they range in size from 1076sqft to over 1700sqft. Gold Property Developments Ltd is a family run company based in Kent. Established 21 years ago, they specialise in building properties in the South East of England. Gold have a reputation for well-designed properties built to an exceptionally high standard. Regarding specification the designer kitchens have Quartz worktops and top of the range appliances including an American style fridge freezer, dishwasher and even a range cooker in certain plots. The bathrooms are designed with contemporary feel to offer excellent quality throughout with tiled floors and walls, wall mounted vanity units with mirrors and polished chrome heated towel rails. For security and peace of mind there are mains fed smoke detectors, wireless burglar alarms and each home will be sold with a 10-year BLP Structural Warranty. Each project Gold works on is designed with the local area in mind, with a range of styles to create living communities which are easy on the eye. Prices for the homes start from £485,000 and the teams from Oakley & Connells invite you to come and view the new show on Saturday September 15th and Sunday 16th between 10.00am – 3.00pm.